Greg I see your point. Sam I also see your point further backed by Tony's (Woodsong) point as a broker. I have been following various wish list boats for the last 2-3 years. Most are now asking 40% off of what they were 2 years ago. Same boat same advertisement & the same owner. That is why I am hoping I can eventually get into my dream boat. I'm very happy with the boat I own other than it is a gas boat. If it doesn't sell I know my wife or I will not be depressed about it. On the other hand the longer these boats site for sale I have to ask myself are they being run periodically and maintained? If not they are not worth 40% off what they were asking when the boat was in prime shape 2 -3 years ago. go read his posts on the Carver forum where he says he owns one, here, he sas he's looking for one. don't know what to believe. Why would someone say they own one whrn they don't? I think Samuel is just stirring the pot. even if you think it, sometimes it's better to not say it. Telling someone their boat is "ugly and loud" is like commenting on somebody's wife! Speaking of wives, Marylan at Rayland said your's is lovely. I agree with you Greg. I got the Block Island Bob comment you might be right? I like her Harlan, but then she's put up with me for a long time. She's not even too mad at me for getting myself involved in this trip to Afghanistan! HMMM??? When you decide to buy a boat you need to get a surveyor he will tell you alot, second you get a certified mechanic and he can tell you a lot .These engines usually have a computer hook up and can give alot of information. I guess you good buddie play with yourself alot you really don't know jack ****. How old are you that your constantly making something personal that isn�t? Others have responded to your first post with good advice or questions and you drag this into the mud. Act like an adult or go somewhere the little ones play. First he says he sold his boat and got what he was asking, then tells us he got $2000 less. He says he's looking for a boat, then says he bought one in 23 days. He claims to be somewhat of a Silverton expert, but has no clue what year they changed styles. The more we keep feeding him, the more he'll keep playing this game, and the more he'll change his story. Gregory you wanna start some **** again good buddy you are a stupid person who don't no ****. Every where you go on this forums you have something smart to say. I think it's time for Sammy to be put in the corner. I hope Les reads this and give him the boot! Abalmuth my name is Samuel. Do you have a problem with my name. You better read the posts and do not nick pick it. You only want to read parts of it. Then you will realize who has the smart remarks. I think he's got you there, Greg. Unless you specialized in proctology and didn't tell us. David :) This guys a troll. Keep it up Sammi. I didn't have any smart a$$ coments until you insulted me, my boat and the Silverton brand. Good luck with your Carver. Not that pretty of a boat. Mike I think you meant fairy tale not a story filled with drama. Never gave Motor Yachts a second look because I did not like the lines. Happened to look at the interiors a few years back and loved the layout. I have to say though, when I saw pictures of your boat in the other thread, I loved the lines. I wish I was smart as you good buddies are let me see I buy a $50,000 boat put $250,000 into it then sell it for $65,000. Billy your so smart. Looks like Sammy boy is off his meds again. He's back. Sammi--how about some pictures of your new boat. Just spent three days with the buffer. I dare anyone to say my boat is ugly! Thanks for the Makita , Walter. That and Buff Magic=no oxidation. Glad the Makita found a good home and is being put to use. Good job Doc, Sammi who? I came to my senses Sammi the boat's not for sale at least at $65k if at all. 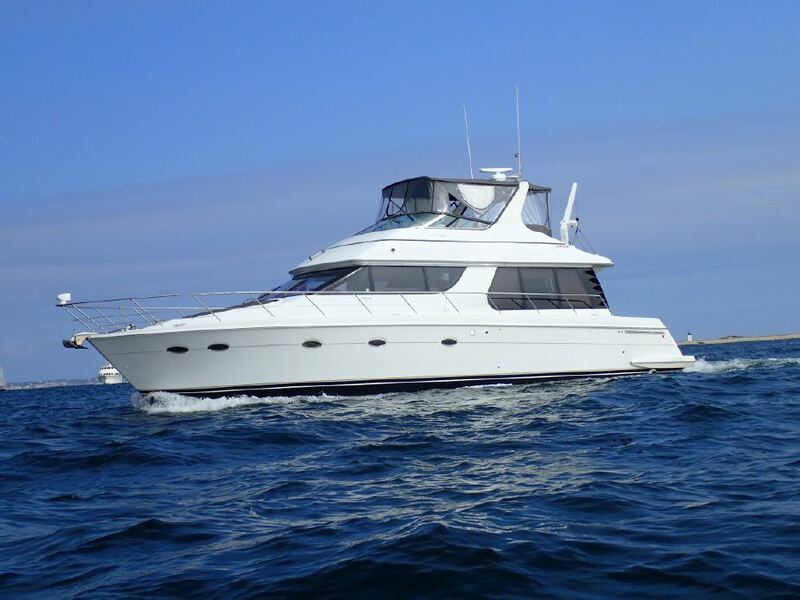 When I bought my boat the average sale price was $100k to $140k depending in survey results. I paid closer to $110k for the boat. I'm just setting the record straight. It was during the peak in Yacht/boat sales and years prior to the economic decline. Sammi you are a cheap shot, foul mouthed troll based on your post's here in this thread. Hopefully in your real life you are better understood then here on the BE board. Have you ever helped any members on the board or offered sound advice? Either that or they are some really good recreational meds? Now that Les is back perhaps one of Bob's alter ego's is now back under his rock (Sammi). Thanks Greg I came to my senses and it's really not for sale. I would only consider it if I were in dire financial straights, I thank the Lord I am not. I don't have the income I once did but I'm a long way from section 8 housing and the food bank. I need to reinvest in my own company and ride out the BS the political environment is doing to scare people. In fact since I returned to the board and also recieved some great encouraging phone calls and e-mails from my friends here my wife and I have had a ball on the boat for the last 10 plus weeks. If it were up to me I would really live on the boat, it needs two things a Splendid washer/dryer combo (which could easily be installed in the 2nd stateroom and either move it south for the 3-4 months for the winter or a good alternative heating system to the reverse air units. The reverse air units work great until the water temps hit 42 degrees from there on it's hit or miss. I am actually really enthusiastic about some upgrades I am doing to W-1 over the winter and planning the Spring launch already. Thanks guy's and have a very Merry Christmas and a Happy New Year.